On the latest episode of Called to Coach, we hosted Gallup-Certified Strengths Coach, Tara Tvedt. 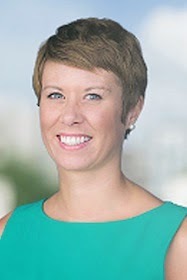 Tara first discovered her strengths in 2004 while working in human resources at Marriott. She said learning her talents was an emotional experience because everything started to come together for her and make sense. She eventually moved on to a different job, and she found herself becoming disengaged in her work. She didn’t have the opportunities to do what she does best every day. It was then that she reflected on her strengths, and she knew that she wanted to help others discover and develop their greatest talents. One thing that people might struggle with when they first start coaching on their own is building their client list. Tara said the best thing to do when trying to find clients is to be determined and unafraid. Reply promptly to emails and phone calls, or invite someone to coffee for an informal conversation. She also said to never stop networking, because you never know who you’ll meet and what opportunities will come. To hear more about Tara and how she uses strengths to help her clients win, watch the full video above. Register now for the next Called to Coach on Friday, Nov. 7, at 1 p.m. EST, when we will host Leisa Anslinger and Stephanie Moore. These two women are co-directors of Catholic Life and Faith, an organization that focuses on leadership and parishioner development. After moving to the Cayman Islands, Tara started SquarePeg, a company that helps individuals, leaders, teams and organizations link their innate talents to specific goals and objectives, facilitate growth and development areas and boost engagement. She earned her bachelor’s degree in psychology with a minor in Spanish from St. Mary’s University in Winona, Minnesota.